Moisture analyzers determine the moisture content of relatively small samples of various materials. The PMR ranges from 50g to 210g. Moisture analyzers make use of "Thermogravimetry", which is a process in which the decrease in mass is determined when a substance is heated. In this process, a sample is weighed before during and after drying process, and a difference in mass due to the loss of moisture is calculated. The humidity of a substance is a composition of all components which appear in a sample, and which evaporate during heating. The products released during drying may include grease, aromatic substances, organic solvents, chemical additions, water and other components. 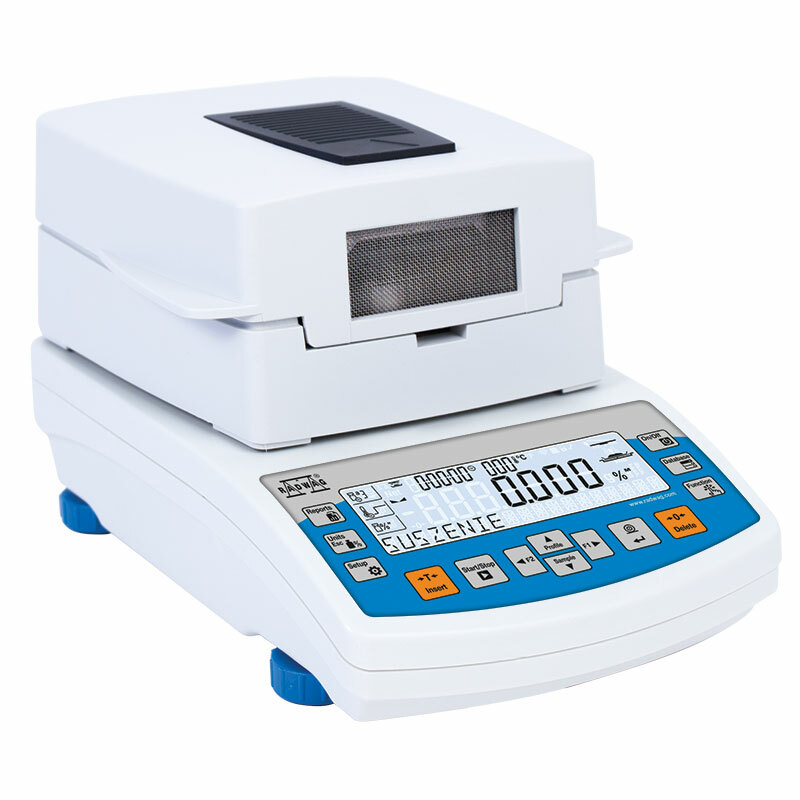 If the moisture analyzer is to perform drying procedures only, then a 50g capacity instrument is sufficient because the determination of moisture content requires relatively small samples. The standard temperature range, up to a maximum of 160°C, is also sufficient for 95% of applications. However, if samples have to be dried in very high temperatures, a halogen lamp heater up to 250°C is available. Infrared emitters emit longer waves, but less energy. With the increase of wavelength, the reflection ratio decreases. This means that more energy is absorbed by the substance (up to 80 %) rather than reflected from its surface. Such waves are applicable for substances that have high reflection ratio, and substances with dark colour.